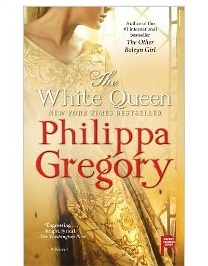 I’ve read several Philippa Gregory novels, and typically really enjoy the work she’s put into researching and characterizing the historical and fictional personages that populate her novels. I like that that she focuses on women of ambiguous character with complex motivations and explores them within the context of the time in which the stories are set. The things I discovered about Elizabeth in the first days of my reading about this period told me at once that she would fascinate me, and she has done so. Her background as a descendant of a family who claim to be related to a goddess was enough to have me absolutely enchanted straightaway. It is in the historical record that her mother was widely believed to be a witch, and that charge was leveled at Elizabeth also. This is exciting enough, but it also indicates that people were afraid of Elizabeth’s power, and I am interested in powerful women. I think she will fascinate modern women in the same way that many historical women strike a chord: despite so many changes in the world, women are still trying to find happiness, manage their children, seek advantage, and avoid the persecution of misogynists. As women of any time, we have a lot in common. Despite the amazing advances in the rights of women (and I am so grateful for these myself), the struggle for women’s freedom, independence, and the right to exercise power goes on. I know this is why I have always hated the Tower. I know this is why the tall dark palace on the edge of the Thames has always filled me with foreboding. This death has been on my conscience before we even did it. How heavily it will sit with me from now on on God an my conscience knows. And what price will I have to pay for my part in it, for my silent listening, without a word of protest? I have read other stories about the Plantagenets–Shield of Three Lions was one of the first novels of historical fiction I ever read, back in eighth grade–and while they are all blood-thirsty and battle-hardened (and lusty), the overbearing worry that Elizabeth conveys as the narrator in this element of their story… just bogged me down. Gregory’s style and research are still quite thought-provoking, and I may even read later books in this series, but reading a terrible story (brothers killing each other and their other close relatives…?!) from the perspective of a woman who worries about being accused of being a witch, yet continuing to practice witchcraft is just a little too anxious for me to be able to finish for now. So approach this one at your own risk, when you’re in the mood for something that will surely dampen your own spirits in its portrayal of human foibles and fickleness.